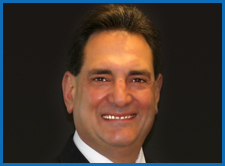 Hello, I am Dr. John Ferullo, your downtown dentist in St. Petersburg. On behalf of my entire team and myself, I welcome you to our Web site. Please feel free to take this opportunity to tour our site. There is a wealth of information on these pages which will give you a better understanding of dentistry, as well as the chance to meet our team. You can also view the downtown St. Petersburg Dentist services we can provide for you, which is our pleasure. I graduated from New York University College of Dentistry in the top quarter of my class. I also have a master’s degree in chemistry from Marshall University, where I was the recipient of numerous distinguished honors and awards prior to starting my practice. These include: the New York University’s Bernard E. Rusner Memorial Award for superior performance in providing oral comprehensive care and administering a dental practice. In addition, I have earned Certificates of Appreciation from the International Center for the Disabled and the Settlement Health and Medical Services for organizing and operating Dental-Oral Cancer Screenings at the center’s health fairs. Prior to starting my own practice in 1988, I was the chief resident at Our Lady of Mercy Medical Centers Department of Dentistry. While in residency, I visited churches, the Lemar School for the Blind and Alcohol Rehabilitation Center in the Bronx, New York, giving oral screenings and dental examinations. Why Did I Go Into Dentistry? I guess the best answer is simply because I like people and helping them. Plus, I always had an interest in what my dentist was doing to me as a child. I also love working with my hands and with gadgets. In dentistry, there is always new cutting- edge technology and equipment that is fast becoming commonplace in the profession. I love keeping up with the state of the art. This enables me to better serve you and your families. It’s also a profession where you can produce quick results. It pleases me that I can contribute something that is very important to people’s health and way of living… helping them keep their teeth for a lifetime. Furthermore, I have a deep affection for my patients. It’s like having family around me all of the time. In addition, we do our best to be a good community partner. Personally, I have served as a dental provider for the Gift of Life Program. This volunteer project allows me the pleasure of donating dental services for children from foreign countries, waiting for heart surgery at hospitals in the Tampa Bay area. In terms of business community support, I have served on the board of Mercantile Bank, and am currently vice president of the Network Professionals Inc.’s Downtown St. Petersburg Chapter and active in the St. Petersburg Dental Disability Group. I also hold memberships in the St. Petersburg Area Chamber of Commerce and the Better Business Bureau. The success of this practice can be explained by the core values my team and I strive for. These values are three-fold. We are deeply committed to providing high quality dental care and personalized service. We are equally dedicated to patient education to ensure good oral health for you, your families and friends. And we make every effort to do so in an atmosphere of warmth, concern and understanding. When you are in my office, ask me how I quit smoking utilizing the Chantix program. It was easier than I imagined. My professional affiliations in dentistry include membership in the American Dental Association, Academy of General Dentistry, Florida and West Coast Dental Associations, the Pinellas County Dental Association and the Perio Prosthetic Study Group of St. Petersburg which is the St. Pete affiliation of the world known Seattle Study Club. My wife, Jo Ellen, my daughter, Raven, and I are delighted to call Tampa Bay our home. Again, thanks for visiting our Web site. I hope to meet you soon to help you and your family with all your dental and cosmetic needs.